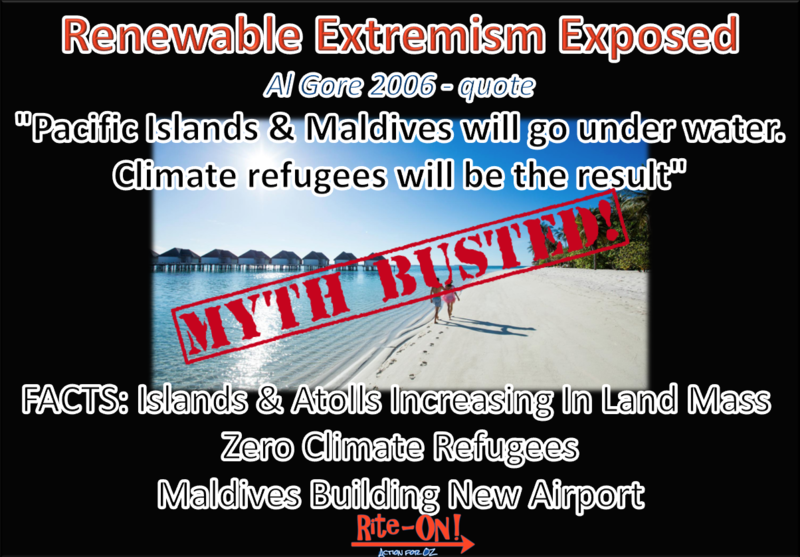 Reefscare - Climate Alarmism - Rite-ON! “The reef is going to die if we don’t stop using coal and eating beef” (1) warn the scientists behind the latest UN-sanctioned IPCC report. These are very serious claims and ones we should examine carefully! 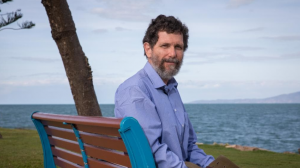 No-one wants to kill the reef or trash the planet, and we all want to leave behind a world that is healthy for future generations, but are we to believe people who have warned and been proven wrong, so many times before? There is about the same amount of coral on the GBR as there was when monitoring started in 1985. Coral growth rates have probably increased by about 10% since 1940! Share this page with your friends and family today. 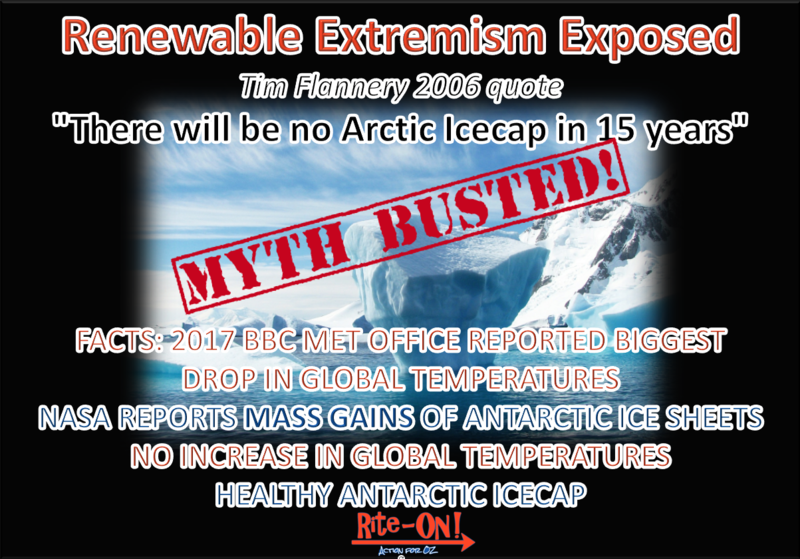 The so called “UN climate experts” have to be exposed. These un-elected elite have their own agenda which is not about Australia’s environmental or economic well being. Many other scientists around the world disagreed with the IPCC . The truth is, that every prediction they have made has been wrong. Climate change is big business, worth billions each year. Start pushing back today! Spread the Word . 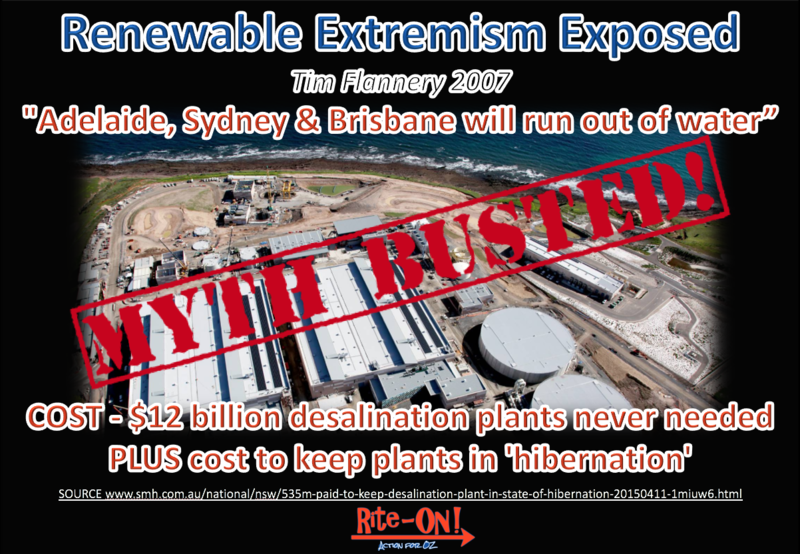 Australia is not going to be bullied into economic & environmental suicide by the un-elected UN elite. 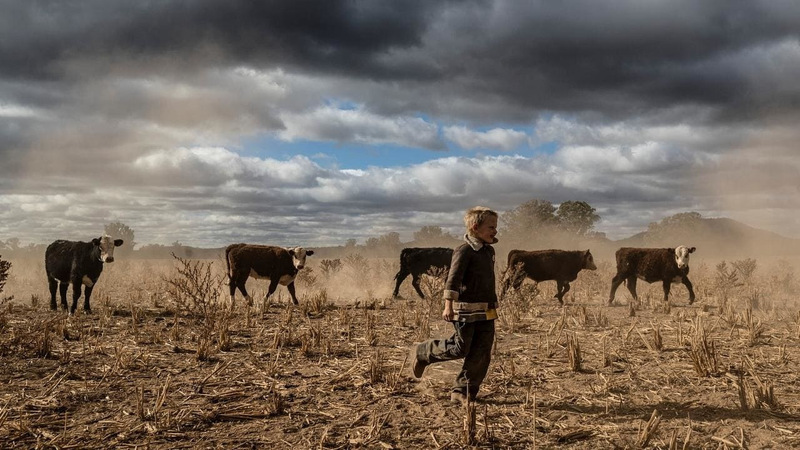 What will happen, to Australia, Australian jobs, our food supply, agricultural industries and our ability to be self-sufficient, if we do as the IPCC report demands and remove our ability to export or use coal for energy production, or farm to grow our own sources of protein? The staple of the great Aussie BBQ- the succulent steak, and the foundation of the café culture – the hot steaming latte, will become a distant memory …and all for what? Saving the reef. Since then, we are regularly told that the reef is being killed by agricultural soil erosion, farm fertilizer, pesticides, dredging from ports, coal dust, and climate change. The brief facts about the reef say different. Dredging studies conducted over the last 25 years, worth hundreds of millions of dollars, demonstrate that dredging is not affecting the reef. Agricultural runoff never gets to the main GBR in significant quantities. The supposedly terrible “bleaching” event of 2016 killed much less than 10% of the coral. Considering that the southern third of the GBR lost most of its coral after two massive cyclones less than a decade ago, but has fully recovered with an increase in coral cover of 250% by 2017, the bleaching event was nothing to worry about. Exactly 20 years ago scientists were predicting that by 2018 the GBR would be suffering massive death from climate change induced bleaching almost every year. In reality we have had only one big event in the last 15 years. 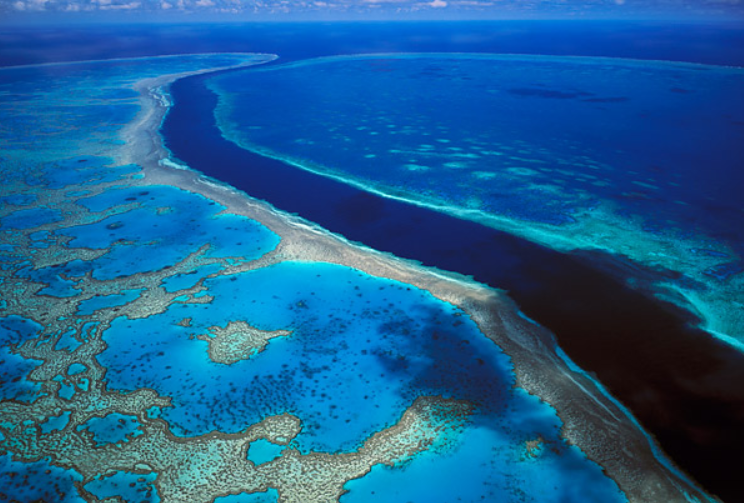 And anyway, a little climate warming, be it natural or otherwise is good for the GBR. The corals of the GBR also live in the “Coral Triangle” around Thailand and Indonesia where the water is 1 or 2 degrees hotter and they grow up to 50% faster there. It is called the “Coral Triangle” because that is where the world’s best corals live. The worst coral in Queensland lives in Moreton Bay near Brisbane. It’s pathetic because it is too cold. STOP using coal, STOP eating beef! Cattle flatulence is also killing the reef. Not mentioned are sheep, goats, ducks, family pets and Australian native animals who all burp and fart. 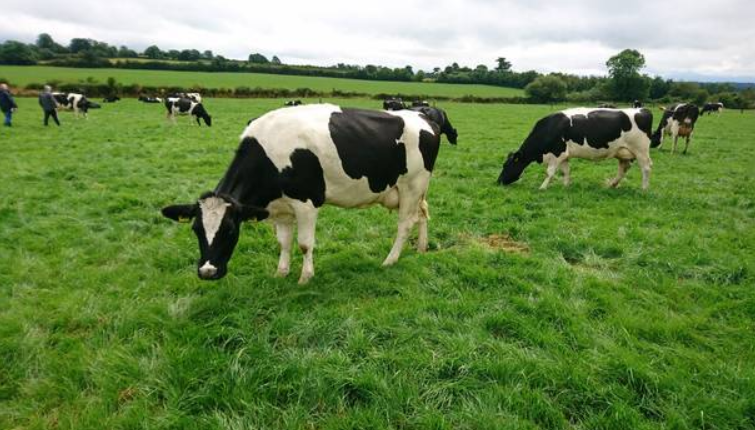 Also omitted for reduction in numbers are humans, who have digestive systems that produce methane gas. For every coal-fired power station Australia closes, many more are being built overseas. In fact, over a thousand are planned this year. They will use the coal that we must not! According to the IPCC report, the replacement of our cheap and affordable energy with ‘expensive unreliables’ is the price Australia must pay to save the reef! For some businesses, and farmers who use irrigation, unaffordable energy means economic failure and job losses for their employees. The climate debate is indeed complex but supporting the UN bureaucracy is not going to change the climate or save the reef. Direct action on climate can have a positive effect in reducing pollution and emissions. 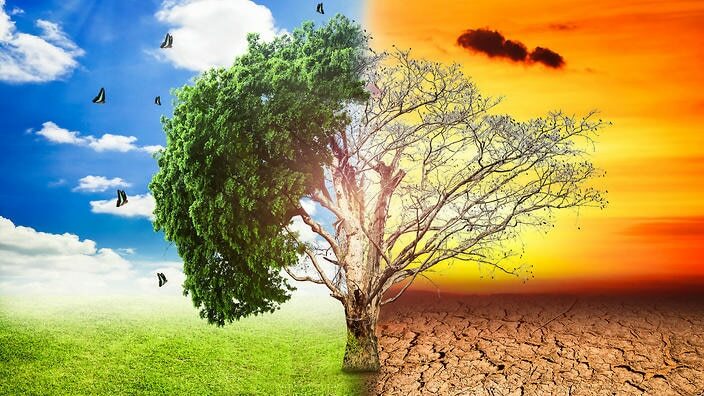 We should make every effort to look after the environment, including using a mix of scientifically proven and technologically advanced low-emission energy production methods, which have the support of most of the scientific community – not just those sanctioned by the UN. The reef is not going to die because we burn coal or eat steak. In fact, according to our Chief Scientist, Dr Finkel, whatever our efforts we (Australia) will make no measurable difference to climate. We contribute just 1.3% of the world’s greenhouse gas. If Australia takes control of its own affairs however and leaves the Paris Climate Agreement along with the US and other nations, the UN itself could itself become terminal. The reports from 9,000 UN-affiliated scientists is in opposition to the considered opinion from over 31,000 of their peers (those willing to sign a petition). The science appears to be far from “settled” and remains a theory. The media however are happy to reinforce the opinion-based reporting in line with UN objectives, and with requests to increase funding from contributing nations through the creation of urgent and dire predictions. The media keeps telling us that violent weather events will increase with global warming, but the IPCC have admitted they have been unable to produce any evidence to support this contention. 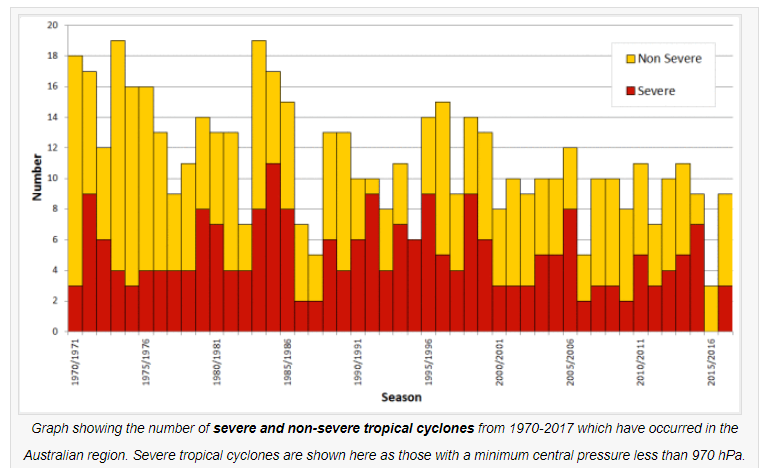 In Australia a cyclone count shows the number and severity of cyclones has reduced since the late 60’s. 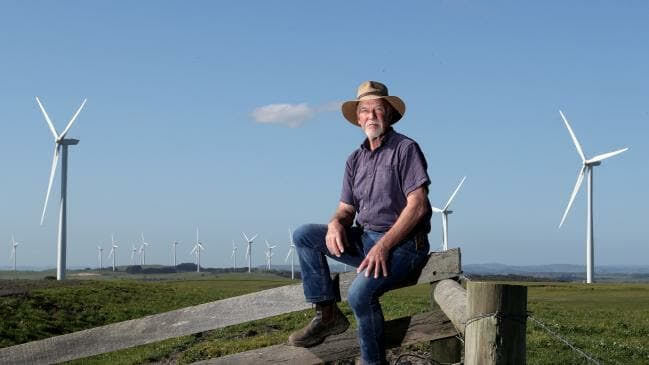 If the UN fails in delivering properly researched scientific reports and attempts to impose restrictive and damaging industrial and social measures on Australia while allowing other highly polluting nations a ‘free-leave-pass’ in emission reductions, Australia must withdraw from the UN Paris Climate Agreement.